adidas continues to keep its EQT series growing by adding new silhouettes to its lineup. Next up is the adidas EQT ZX, which blends vintage styling from the 90s with modernized technology. This particular colorway sports a White mesh upper with Grey suede overlays paired with Teal and Red contrasting accents throughout. Its retro styled upper is completed with a full-length Boost midsole. 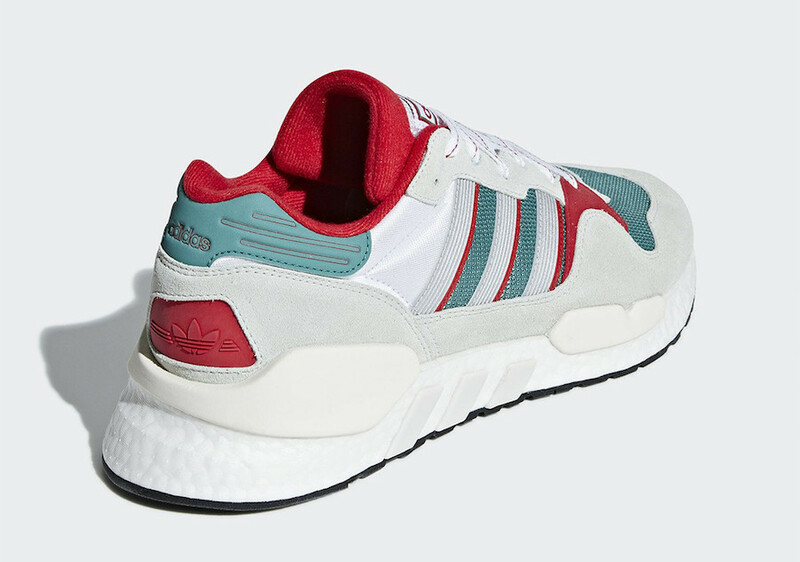 Look for adidas to debut the EQT ZX within the next couple weeks at select adidas retailers and adidas.com. Stay tuned for updates.